Bali Handicrafts Souvenirs from Indonesia. Arts and crafts for home decors and accessories made of wood, stones, sea shells and other natural materials made by CV MAYA, Indonesian crafts manufacturer and exporter company. Bali arts and crafts catalog suitable as home decors and home accessories. Buy Balinese handicrafts from CV MAYA, owner of ths Indonesian crafts catalog. Our company CV MAYA Indonesia is manufacturer and wholesaler of all kind souvenirs and gift items. We're able to supply you with airbrush wood keychains, wooden calendars, boomerangs, bookends, pencils, puzzle and wooden flowers. Decorations and ornaments for your home, living room, kitchen or garden. Our online catalog contains homeware, kitchenware and home accessories. Hanging Mobiles Sea Shell Capiz Bali Indonesia. 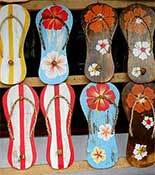 Beach Theme Crafts Bali Indonesia. Pineapple Wood Carvings Bali Indonesia. Airbrush Painting Gifts Bali Indonesia. Skull Wood Carvings Bali Indonesia. Sitting Animal Wood Carvings Bali Indonesia. Sea shell balls from Indonesia. Any kind of small shells is available to make as seashell balls. Sea shell souvenirs from Bali Indonesia. Other than sea shell balls, we also have Woven rattan balls or sepak takraw balls from Indonesia. Rattan balls in various sizes. Buy from us, rattan crafts producer and exporter company in Indonesia. Cheap Handicrafts Souvenirs Arts Crafts Gifts Bali Indonesia Home Decors Accessories Ornaments. Handicrafts and souvenirs from Bali Indonesia. Arts and crafts for home decors and accessories made of wood, stones, sea shells and natural materials. Indonesian crafts manufacturer and exporter company. Bali arts and crafts catalog as home decors and home accessories.